Does your paternity or divorce case involve minor children? Are you seeking to have a minor child testify in your case? If so, you may decide to file a motion for minor child to testify in Florida. This motion may be officially captioned as “Motion for Testimony and Attendance of Minor Children.” The corresponding rule within the Florida Family Law Rules of Procedure is Rule 12.407. Fla. Fam. L. R. P. 12.407 provides in part that: “No minor child shall be deposed or brought to a deposition, brought to court to appear as a witness or to attend a hearing, or subpoenaed to appear at a hearing without prior order of the court based on good cause shown unless in an emergency situation.” This Rule accounts for hearings, depositions, and other court proceedings. According to Florida Family Law Rule 12.407, which involves a motion for minor child to testify in Florida, neither the Petitioner, nor the Respondent, may depose a minor child, cause him/her to be a witness in court, bring them to a hearing, or subpoena them unless they have first obtained a court order authorizing this to occur. This is the Rule for good reason. Florida family law courts are hesitant to allow minor children to be subjected to their parent’s legal battles. In general, children should not be forced to choose between their parents. The stresses and emotional pitfalls involved are often too overwhelming. According to Florida case law, “The [Florida] law recognizes a child’s preference, if the child is of sufficient maturity, as a factor in the determination of custody.” Greene v. Kelly, 712 So. 2d 1201 (Fla. 5th DCA 1998). Simply stated, a child’s preference is taken into account when a court decides with which the child will reside a majority of the time. Careful though, read that sentence again. First, the child must be of sufficient maturity. Second, the child’s preference is but one factor, not an outcome determinative element. What determines whether a child is mature enough to appear before a judge or an attorney? When considering whether you really want to file a motion for minor child to testify in Florida consider how old is old enough for the court (or you as a parent) to allow child testimony to influence its decision regarding custody? As general guideline, “one would NOT expect a ten-year-old to possess character traits necessary to make intelligent decision regarding primary residence.” Holmes v. Greene, 649 So. 2d 302 (Fla. 1st DCA 1995). Read carefully again. This decision does not create a blanket rule, it is merely used as guidance. How mature is the 10-year-old minor child? What is the life experience of the child? A court will consider a motion for minor child to testify in Florida even for a young child, but arguing to a judge that a 6 year old child is mature enough to know where he/she wants to live and with whom may be a difficult proposition, though not impossible. Should Minor Children Testify in Divorce Case in Florida? Courts are protective of minor children and their safety. This makes filing a motion for minor child to testify in Florida a decision you must make carefully. So much so, that the Florida Legislature has created Florida Statute 92.55 entitled “Judicial or other proceedings involving victim or witness under the age of 18, a person who has an intellectual disability, or a sexual offense victim or witness; special protections; use of therapy animals or facility dogs.” This primarily applies to family and divorce law cases where abuse or other indiscretions have occurred, or where children have intellectual disabilities, but it can help us understand the general position of family law judges as pertains to child testimony. 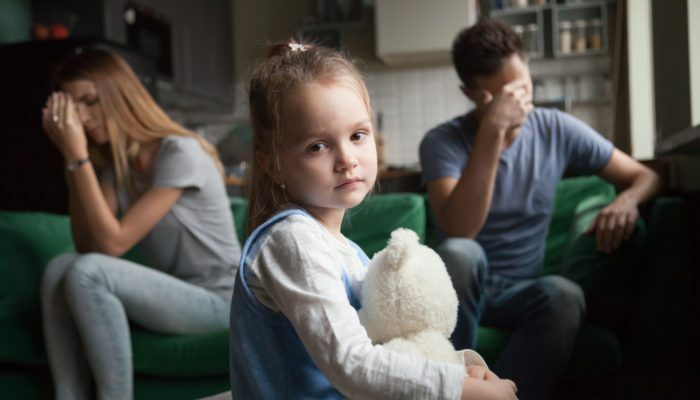 If you are involved in a child custody dispute and need to hire a family law attorney in Orlando or a divorce attorney in Orlando, call the Jacobs Law Firm to have a consultation regarding child testimony. Filing a motion for minor child to testify in Florida is a decision best made with a great deal of caution and guidance.